This has been a very busy week on both campuses. 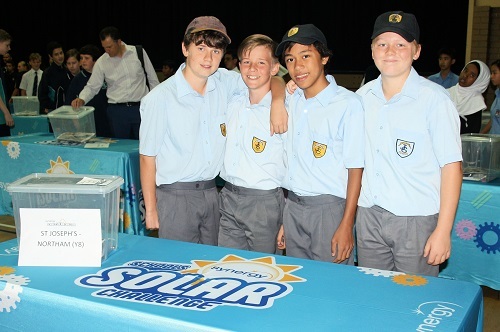 On Monday, we had Primary and Secondary teams representing the School at the Solar Car challenge. Both teams did very well and had a great day learning from others. Tuesday and Wednesday saw our Secondary da Vinci Decathlon teams in full flight. Their knowledge and ability to adapt to challenging problem-solving situations is a credit to them all. It is important to note that these children and their teachers have given up their time after school to train for these events. Thank you to the all involved in the training of these children throughout the term. More results follow in the newsletter. 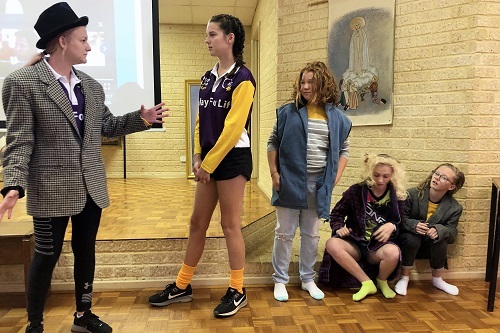 The Years 10 and 11 students travelled to Perth to ‘RAC Bstreetsmart’ presentation on Thursday where they learnt some very hard and confronting lessons about the need to be safe on the roads. 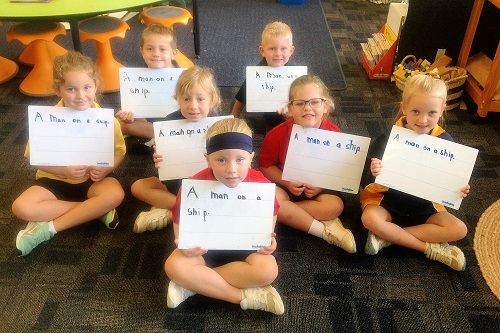 Yesterday, the Primary Learning Journeys took place throughout the afternoon. It was lovely to see the delight on the children’s faces as they proudly showed their classrooms off to their parents. Thank you so much to the teachers for their hard work this term. 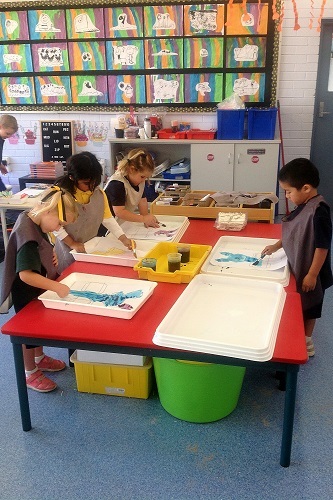 It is clear from the wonderful work on display that their dedication is paying off. 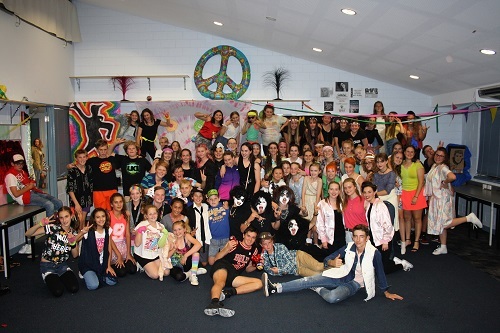 The Secondary Social, organised by the student leaders, was a fantastic ”Blast from the Past”. 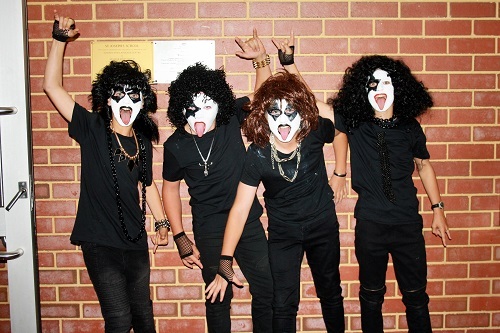 All students who attended had a fabulous time and really got into the spirit of the evening. Well done to the student leaders for all of your hard work! Unfortunately, the NSSA Inter-school swimming carnival had to be cancelled due to the lightning storms in the area on Wednesday. The carnival has been rescheduled for Wednesday 10 April from 12:00-2:30pm. I was thrilled to be able to experience my first House day today. Year 3’s Assembly and the Secondary de Vialar House Assembly were both very well presented. 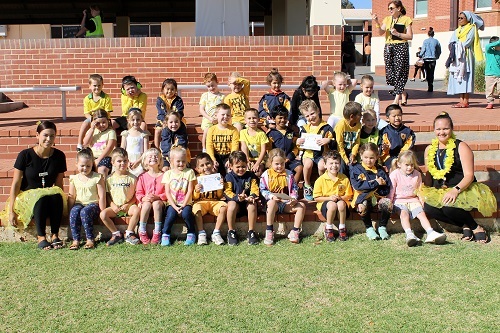 It was lovely to see all the children, both Primary and Secondary, get into the spirit of the day and come dressed in their yellow. Thank you to all those who have signed up to the Colour Run so far. We are all getting to very excited as we wait for next Friday’s big event. Please refer to the details in the P&F section for specific times and information. 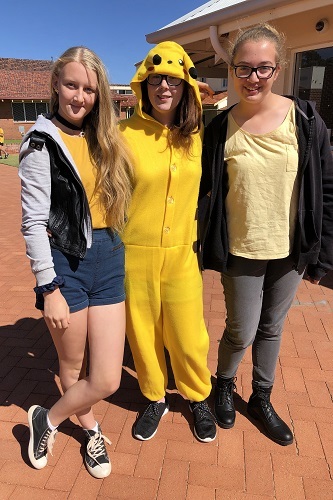 Twenty-one year-old Michaela is helping to build a social enterprise for people with chronic illnesses at The Purple House in Alice Springs. 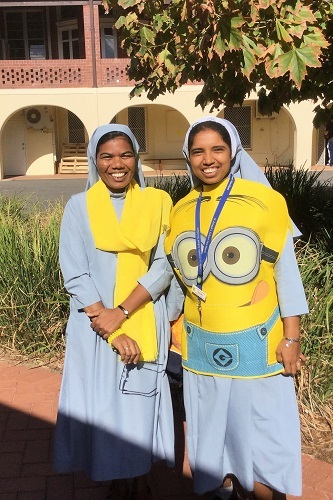 Featured in Project Compassion 2014, the First Australian-run Wellbeing Program, uses its profits to connect and care for dialysis patients who are far from home. As a Purple House trainee, Michaela completed a Certificate IV in Business Management. She was also recently promoted from Administration Trainee to permanent employee, working on The Wellbeing Program. The young Alywarr woman cares for patients as they receive dialysis and helps them to feel at home and remain hopeful during treatment. Patients in turn pass on traditional knowledge to Michaela. The program is run by the Western Desert Nganampa Walytja Palyantjaku Tjutaku Aboriginal Corporation, with support from Caritas Australia. First Australians are twice as likely to experience chronic kidney disease, and four times more likely to die from it than other Australians. With the help of staff like Michaela, the Aboriginal-controlled service gives patients the opportunity to stay connected with their culture. They do this through traditional healing practices and income-generating activities, such as making bush balms and soaps. Profits are invested back into supporting patients receiving remote care and help to get people on dialysis back on country. In addition to completing her studies, Michaela has obtained her Driver’s Licence and is building her leadership skills running workshops solo. Please donate to Project Compassion 2019. Lives change when we all give 100%. A big thank you to everyone who supported the Primary Learning Journeys on Thursday 4 April. It was wonderful to witness parents and grandparents visiting their child’s classroom, participating in activities and spending time going through workbooks. Thank you to our brilliant and talented teachers for opening up their classrooms and allowing this event to take place. Next term, our Early Years classes will host Learning Journeys for parents and caregivers. Please put the following dates into your calendars. Primary Test Books have been sent home this week. I encourage parents to sit down with your child and read through each assessment and any comments made by the classroom teacher. Once you have done this, please sign and comment on the page provided in the Test Book and return to class by Wednesday 10 April. 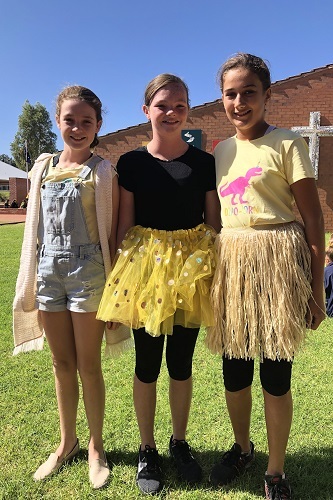 A sea of yellow greeted me this morning as we celebrated de Vialar House Day, a day that highlights one of our founders, St Emilie de Vialar. 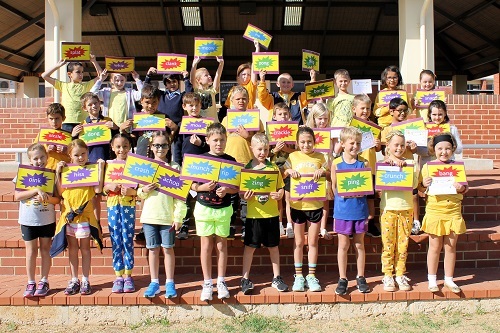 Well done to our Year 6 Student Leaders for providing some yummy ‘yellow’ food at recess. All monies raised will be donated to Caritas Australia. This week, the Pre-Primary classes had a special visitor. She was wearing a red cape and was holding basket. We noticed her when we were outside doing our morning fitness. She tried to run away from us but we caught her! Guess who it was? Little Red Riding Hood! It was so exciting to see her in real life. We asked her lots of questions such as: Where are you going? Do you go to our school? and where is the Big Bad Wolf? A little while later she told us she had to go and visit her sick grandmother, we said goodbye and off she went. When we got back to class, Ms Marino read us a story about Little Red Riding Hood. She drew some pictures to help us remember the story and we even had a go at telling the story ourselves. We have been practicing the story of Little Red Riding Hood ever since. Please be advised that the NSSA Swimming Carnival has been rescheduled and is due to be held on Wednesday 10 April from 12.00- 2.30pm. 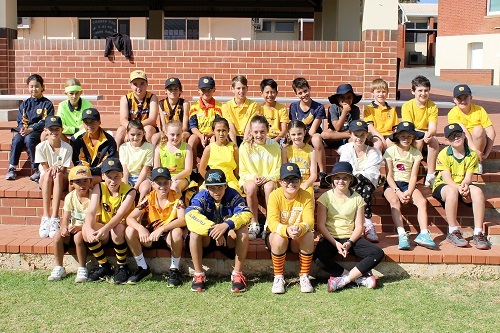 Students are to wear their Interschool Sports Uniform to school and can change into their bathers at recess. 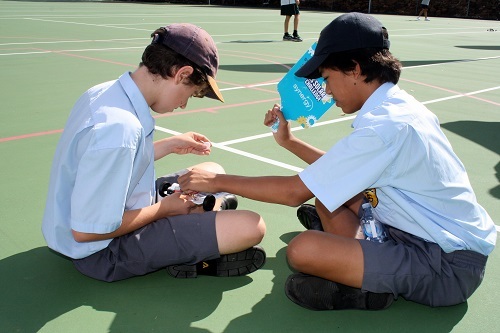 There will be no formal lunch break at the carnival, so students are to pack their lunch from home or eat it beforehand at recess. They will not be able to order their lunch from the School canteen on the day. Students will not be given access to the Pool Kiosk as they are to remain in the bay. They need to take any snacks, drinks and treats with them. Students will be taken back to school at the end of the carnival. Any parents wishing to take their child home from the carnival with them, is to sign them out with Ms Hince. If you are no longer able to assist on the day, can you please let me know? Conversely, if you are now able to assist, your help would be greatly appreciated. Please come and see me when you arrive at the carnival. Next Tuesday, 9 April, the Year 6 students will be participating in a round of visits to various recycling centres in Canningvale. A very busy day has been programmed and we look forward to an informative day. A report of the excursion and photographs will be presented in a later newsletter. Watch this space! This year, as previously advised, all NAPLAN testing will be conducted online (Primary and Secondary). Teachers have been embedding NAPLAN type questions into their teaching and learning programs and the online practice test will be held for students in Years 7 and 9 on Tuesday 9 April. Reports were posted on Tuesday and are also available on SEQTA. Next Thursday, interviews will take place. Parents and guardians have been supplied with your own log in details and password to enable you to select the interview times that suit you best. Places are filling up so you are encouraged to make your bookings as soon as possible. 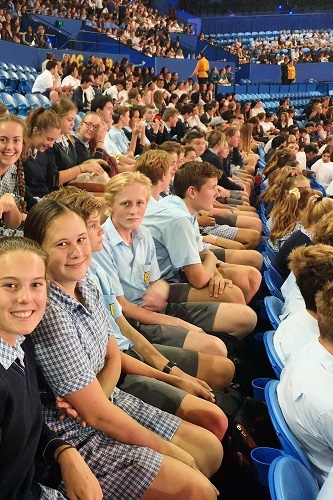 On Thursday, the Year 10 students attended the RAC Bstreetsmart event at RAC Arena in Perth. 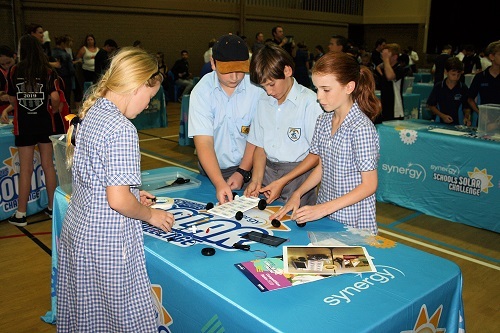 The event hosted a whopping 9,500 students from over 95 schools in WA. 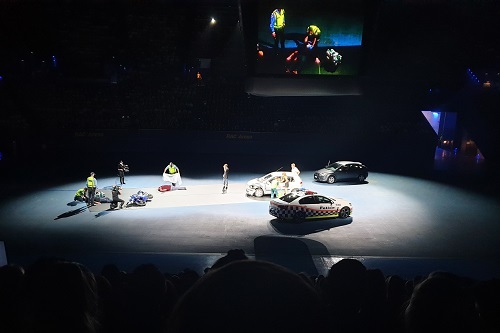 RAC Bstreetsmart is aimed at Years 10 to 12 students and features a crash scene re-enactment attended by the emergency services, just as it would occur at a real crash site. The students also had the opportunity to listen to speakers who have been directly impacted by road trauma and talk with emergency services personnel. 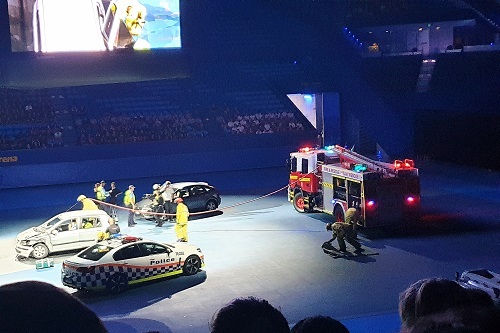 From this event, RAC hopes to engage as many young people as possible to provide road safety messages, demonstrate the ramifications of road trauma and the consequences of distracted driving, inattention, speeding and drink or drug driving. Overall, aiming to reduce risk-taking behaviours and eliminate the road toll on Western Australian Roads. Thank you to Mr Sinclair, Mrs Horsburgh, Mr Bogoni and our students who participated in the excursion. 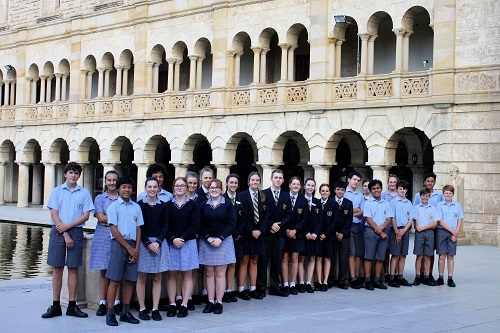 On Tuesday 2 April, our Years 7 and 8 teams, and then on Wednesday 3 April, our Years 9, 10 and 11 students participated in the annual da Vinci Decathlon academic inter-school challenge. This year, the event was held away from a school and hosted by the University of Western Australia (UWA). 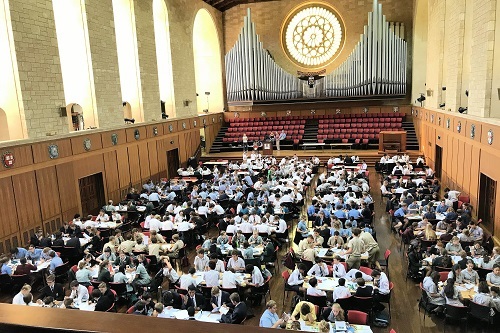 This year’s event also followed the East Coast model, where multiple Decathlons are held concurrently, so on Wednesday the Years 9, 10 and 11 students were all completing the same tasks and were spread out in Winthrop Hall across 58 tables, a logistics challenge in itself! Once again, some very demanding questions across many tasks that pushed the students to the limits of their knowledge and skills, with tasks examining design, construction, interpretation, presentation, analytics and computational thinking. A long day that left many quite drained at the end of it all. Well done to all the participants, you have done yourselves and our School proud! Upon arrival at UWA, we quickly discovered the hectic nature of the event with 52 teams, representing around 30 schools, on different tables. 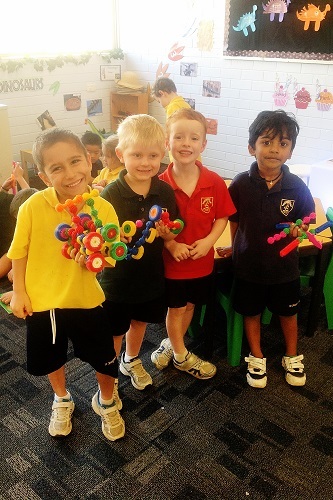 In the first session we completed the Science, Creative Producers, Engineering and Art & Poetry tasks. In the second session, we completed Mathematics, Ideation and English and we found these activities very challenging but we got there in the end. We then went out for a well-earned stretch and lunch before we returned for the third and final session. We had General Knowledge, Cartography and Code Breaking. These final sessions were also quite hard but we all worked together and got the job done. Overall, it was a great experience. We all enjoyed it and found it strengthened us as a team. It was great and we’d all love to do it again. The da Vinci Decathlon was full of laughter, fun, hard challenges and excitement. Everyone did really well, even though a lot of the questions were extremely tough. Some of the highlights were Mathematics, Creative Producers, Code Breaking and Science, talking to people who you don’t normally speak with in School and trying new topics with interesting problems to solve. The da Vinci Decathlon today was a milestone for the Year 11 students. 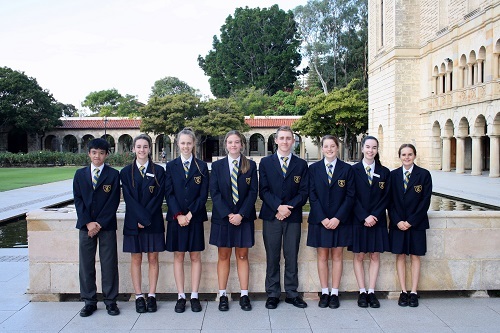 We thought that the 2018 competition would be our last, however, we were pleased to be the first group of Year 11 students to compete in the WA event and to experience this event at its new venue, UWA. It was a great day for all of us where we completed several challenges in areas of English, Science, Art & Poetry, Engineering, Creative Producers, Mathematics, Cartography, Code Breaking, General Knowledge and Ideation. Even though we sometimes got on each other’s nerves a few times, as the stress of getting to the last 10 minutes mounted, we altogether worked really well as a team and had a few laughs along the way. Overall, it was certainly a memorable day and we will all miss participating in the annual da Vinci Decathlons. No final competition results are available at this point, but we are looking forward to receiving those in the near future. Thank you to our da Vinci training team and assistant staff. Each of these people have supported the teams with after-school and lunch time training sessions and planning meetings. Thank you to Mr Vernede, Ms McBride, Mr Hillyer, Mrs Wright, Ms Enright and Mrs Holland. Well done, once again, to all our 2019 da Vinci Decathlon competitors! 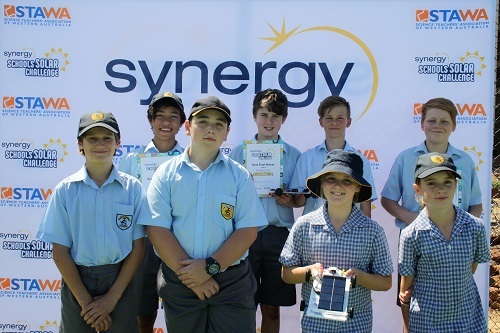 A very busy week was held with a team of students from Years 6 and Year 8 competing in the annual Synergy Schools Solar Challenge, again participating in the Eastern Metropolitan heat. The students in each of the separate teams were provided with a new the kit and equipment similar to what they had practised with and had 60 minutes to build and test their solar car ready for the challenge. 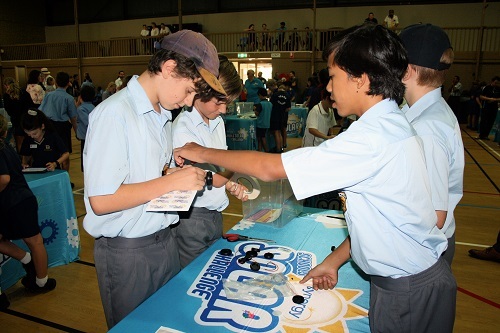 Students then were run through several races against the other attending schools to see which of the cars were the two fastest to proceed to the next challenge. Our Primary team were successful in getting to the second round and looked to be very competitive, but with a couple of slow accelerating starts, could not catch the opposition on the 20 metre track. The Secondary students managed to get to the third and final heat which would see the final two be offered a place in the Grand Final next week. After tension mounting with intermittent cloud cover, the last round finally commenced. With some strong early finishes, including winning one of the rounds, the Secondary students were very confident. After a second place and then a third, they needed a strong finish in the best of three heat finals to get through. The team’s solar car was close and kept with the competition for the whole track and with all three cars within 50cm at the end - a tight finish, but their vehicle crossed the finish line a mere 2cm behind in third place. This sent the Adjudicators and Track Marshalls to the ‘video’ to make the call. So close! 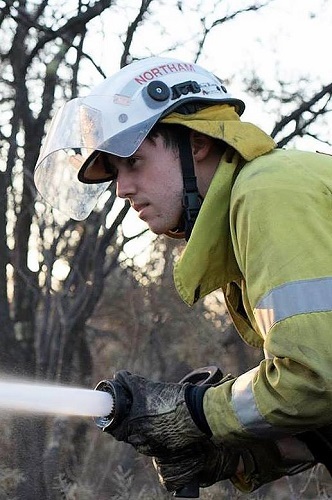 2019 was not quite the year for our team to be at the Grand Final, but still an admirable result. Well done to both teams on excellent designs that were extremely competitive and, by all accounts, a lot of fun to be involved with. Thank you to Mrs Holland for the background support for all the trials conducted at School in the lead up to this event. The Colour Explosion is only a week away and everyone is getting very excited. 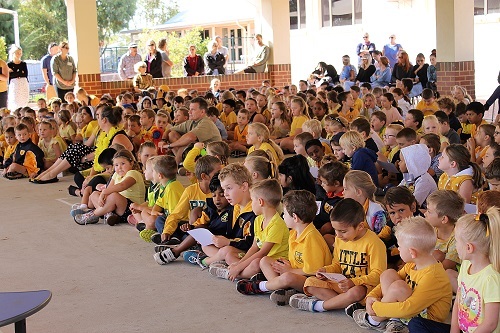 It’s great to see so many students involved with raising funds for their School. The tally is increasing every day so keep encouraging your children to seek donations or sending your online link. 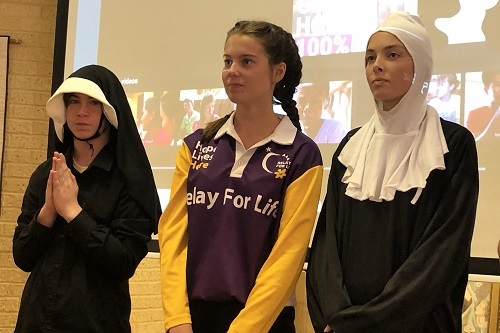 A reminder is given that all students need to return the back page of the sponsorship booklet with any cash donations to School by next Friday 12 April so the event can be finalised over the holidays. If you are claiming an incentive prize, that also needs to be selected by next Friday via the online profile or on the back page of the sponsorship booklet. Parents, please note that you do not have to choose a prize if you do not want to! 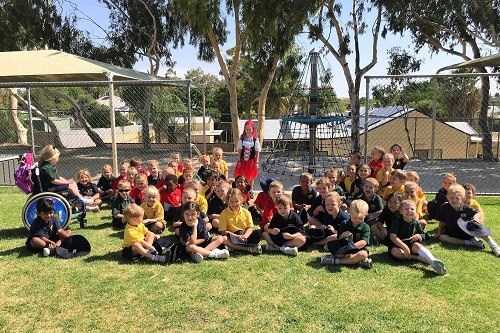 Raffle tickets are now on sale at 50c each and can be purchased before and after school outside the Kindy and PAC entrances and near the Canteen at recess, from the Student Leaders. Secondary Student Leaders will be selling tickets during breaks next week also. The Raffle will be drawn next Thursday afternoon and winners will be notified Friday. If there are any further donations to come, please drop them to the Primary Admin Office by Wednesday. Thank you for your support. 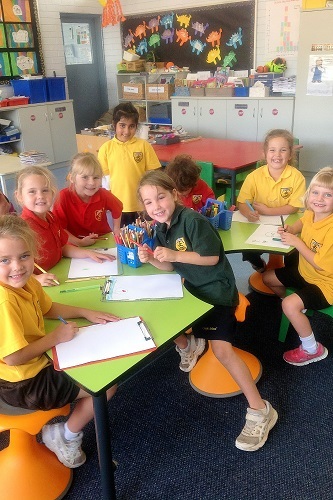 There is lots on next week but it will make a very fun and exciting final week of Term 1! On Fridays the Canteen will be offering Fish Fingers at 40c each. These are an optional extra available only during Lent. I would like to encourage all our families to consider offering to work in the Canteen as without your generous support, we would not be able to provide this service to our School.